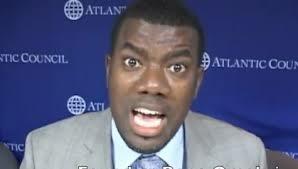 Reno Omokri, a former aide to ex-president Goodluck Jonathan, has reacted to the comment made by national leader of the ruling All Progressives Congress, APC, Asiwaju Bola Tinubu, that President Muhammadu Buhari deserves a second term. Owojela's Blog recalls that Tinubu, while giving an address at the investiture ceremony of the award of the Grand Commander of the Order of the Federal Republic (GCFR) on the late MKO Abiola at the Aso Villa on Tuesday, said Buhari deserves a second term in office for keeping his 2015 campaign promises to Nigerians. Reacting through his Twitter page on Wednesday, Omokri disagreed with Tinubu. He wrote: “Dear Bola Tinubu, How could you say Buhari deserves a Second Term because he has kept his campaign promises? Why do Buhari, Lai Mohammed, @Garshehu and now Tinubu continue lying during Ramadan? Is ₦1 equal to $1? Is petrol ₦40 per liter? Has he created 3 million jobs per year?”.